Happy Valentine’s Day! 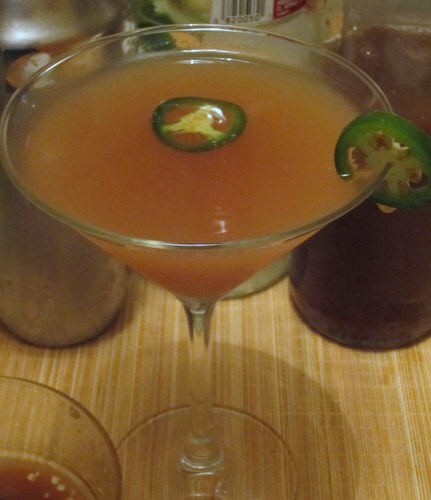 Hope you are all having a super spicy hot day today and if not don’t sweat it, you will be after this spicy martini. It’s sweet, spicy and chocolatey with a touch of cherry. Perfect if you’re making it a girls night in or if you’re with your loved one. 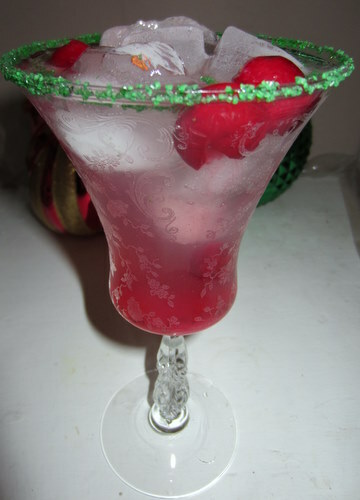 Add ice to a martini mixer, then add the rest of the ingredients except for the cherry and shake it hard. Pour into a chilled martini glass. Holiday Cocktails: Jalapeno Infused Vodka 5 Ways! Hi everyone, I hope you’re enjoying your holiday festivities! Things are about to be a bit jollier with these 5 spicy vodka recipes. One infused spicy vodka and five easy recipes! The following recipes are made with my jalapeno infused vodka. All recipes are single serving so you can multiply ingredients based on the number of guests. You can even make a pitcher ahead of time for some of these recipes so you’re not running around playing bartender all night and can actually have some fun! This is my pumped up version of the Moscow Mule using the spicy vodka. The Moscow Mule is usually made with ginger beer but I didn’t have any on hand so I mixed fresh grated ginger with simple syrup instead (less artificial and much healthier for you). 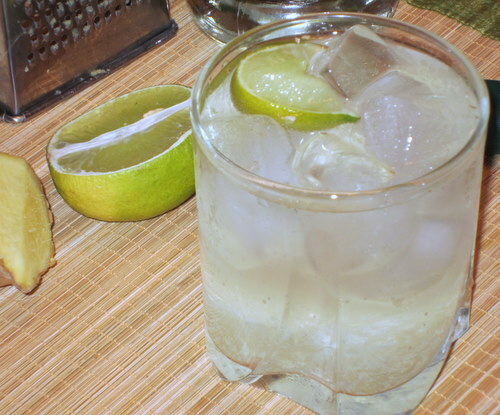 Fill a tumbler with ice, pour in vodka, ginger syrup, seltzer, squeeze in the lime, drop it in drink and stir. Cheers or Za Zdorovie!! Rim a tall glass with green sugar, muddle a few cranberries with a tsp of sugar, fill glass with ice, add spicy vodka, cranberry juice, top with seltzer and stir until well mixed. 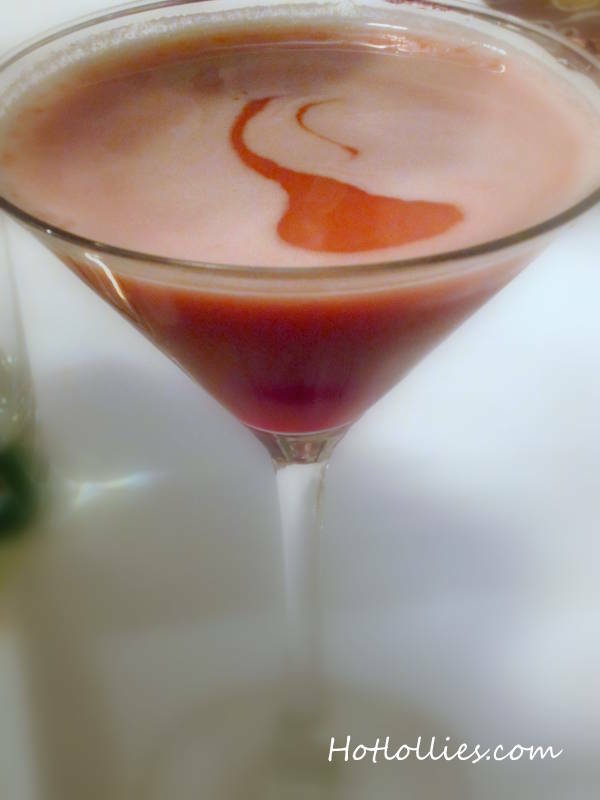 Drop in a couple cranberries to top for a lovely Christmas drink. Take the jalapeno and simmer in the 4oz of tamarind syrup for 3-5 minutes. Remove from heat so jalapenos stay firm. The tamarind should reduce to half and you’ll be left with sweet, moist jalapenos to be used for garnish. Add ice to martini shaker, add spicy vodka and 1 oz of tamarind syrup. Shake it baby! Pour into a martini glass and drop in a slice or two of candied jalapeno. Take another slice of candied jalapeno to decorate glass. Yummy! This is a fantastic summer drink but our December weather has been a bit odd…60 degrees here the other day so figured why not, mango is my favorite fruit and can have it anytime of the year if possible. This will be great for those having summer weather now! 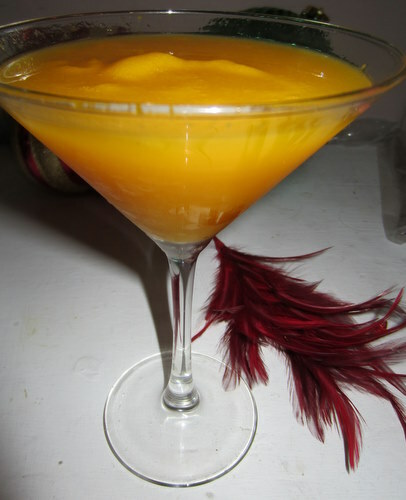 Fill a martini glass with mango sorbet, add vodka, add a squeeze of lemon and give it a little stir. Enjoy and pretend you’re on the beach somewhere! Add dry vermouth to a martini glass and swirl around until well coated, discard excess vermouth. Add spicy vodka to martini shaker with ice and shake it up. 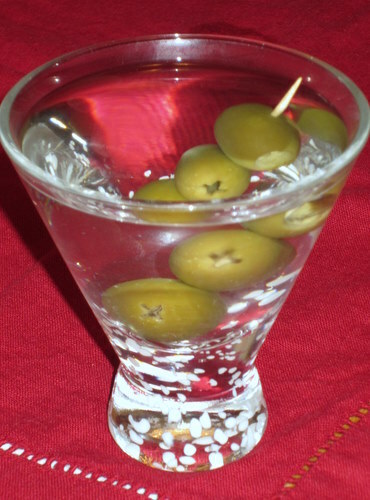 Pour into glass and garnish with olives. Sit in front of the fireplace, or a space heater if that’s what you have and enjoy! Remember, you can always adjust the spiciness of these drinks by using more or less jalapeno in vodka. The longer you infuse the vodka, the spicier the drinks. Happy Holidays and have a safe weekend!